I recently had the opportunity to try the new, fruits & vegetables protein individual meal packs. I received the Natural Mixed Berry flavor. These are perfect for mealtime, snack time, or anytime. 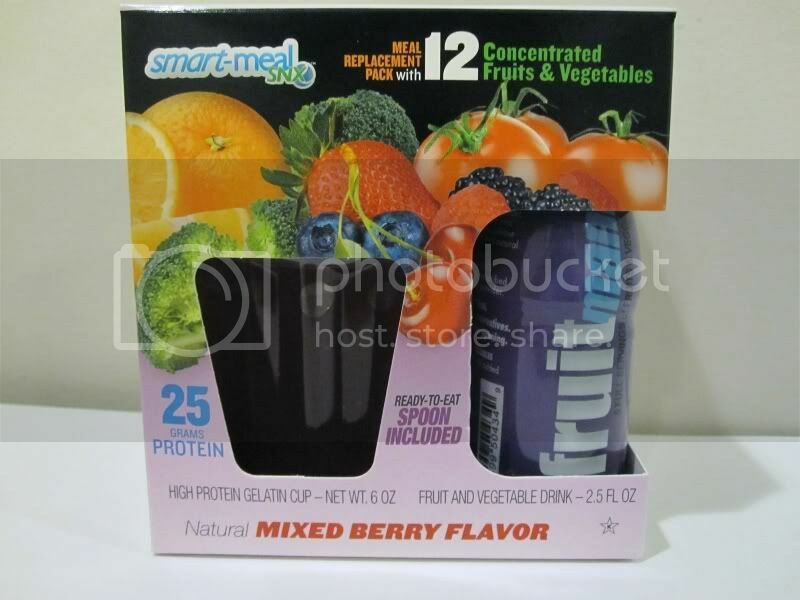 If you are a busy mom or individual like me, the Smart-Meal SNX fruit & vegetable meal replacement pack is great for on-the-go. We don't always take the time to eat nutritional foods, so this is really great for us. 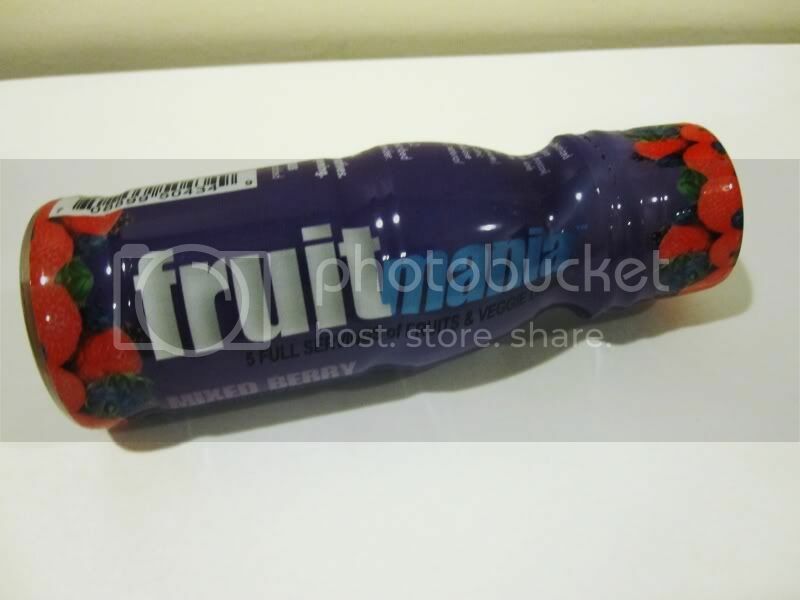 I really like the fruity taste and that it is low in sugar. It offers an exciting new way to easily get the goodness of fruits and vegetables every day. For me, I think it tastes better chilled (like a dessert). Often, people with special dietary requirements have difficulty consuming protein because they cannot tolerate the taste, the volume, the protein allergens, or the protein structure. You can consume up to 2 containers of Smart-Meals SNX as part of your regular dietary needs. Nutri-SNX is a delicious tasting and nutritious combo meal replacement pack that includes one Fruitmania drink and one ProGel serving containing a well balanced mix of protein, fruits and vegetables. Together they offer 3 vegetables, 3 fruit servings , a serving of Fiber, 25 grams of easy to digest Protein and all the vitamins and minerals that comes along with it. The pack is ready-to-eat and even has a spoon included for you. Fruitmania is a new and exciting way to easily get the goodness of a full complement of fruits and vegetables in a ready-to-drink “single shot” beverage. 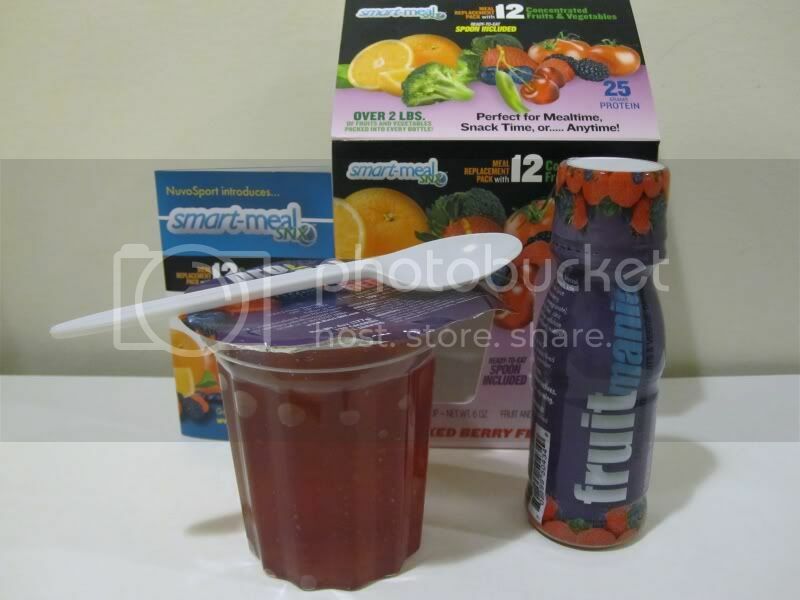 Fruitmania provides 5 full servings of fruits and vegetables in a single serving of less than 3 fluid ounces. Each serving contains 2 full servings of fruit and 3 full servings of vegetables as well as 5 grams of dietary fiber (20% of the recommended daily allowance). Fruitmania is heat and cold stable. all natural, fat free, gluten free, cholesterol free, lactose free, preservative free, and contains less than 100 calories per serving. 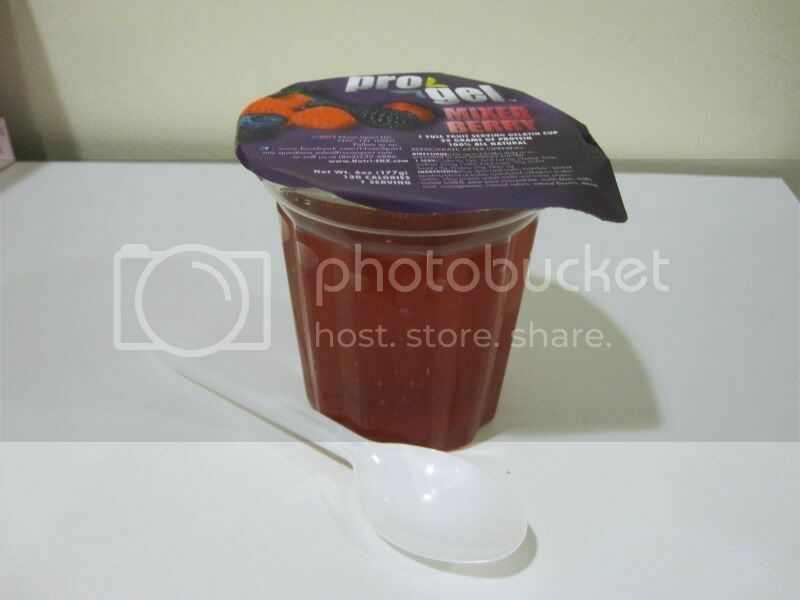 Pro-Gel is a protein-fortified gelatin snack. This on-the-go treat provides 25 grams of protein (50% of the recommended daily allowance), 5 grams of fiber (20% of the daily recommend allowance), and one full serving of fruit in each 6-ounce, ready to eat cup. Pro- Gel is heat-stable and cold-stable, so it maintains its gel strength in the fridge and on the go. Pro-Gel is fat free, sugar free, preservative free, cholesterol free, and only 130 calories. Disclosure: I received a sample pack of the Smart Meal SNX in exchange for this review. Any expressed opinions are my own and personal thoughts. No other compensation was given.